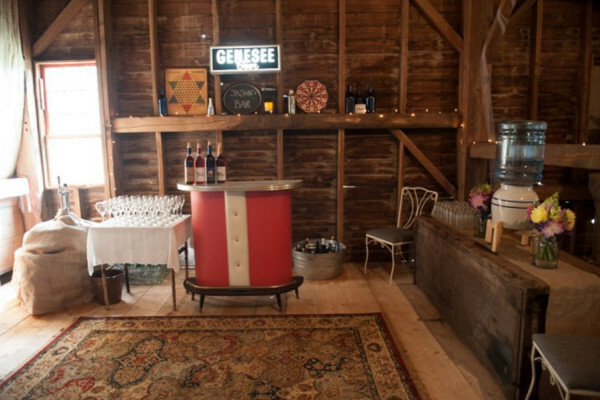 Historic Maple Shade Farm in Delhi, NY offers an elegant space for your special events. The farm is set in a majestic valley surrounded by stonewalls, rolling fields, features a large pond, and boasts river and mountain views. 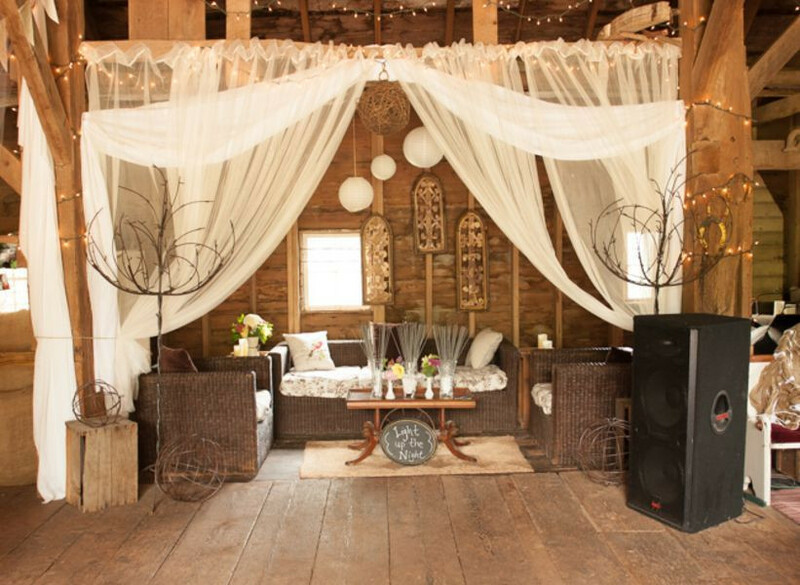 The beautiful three story barn offers one-of-a-kind spaces to host your party and custom nooks offer endless fun for visitors. Historic Maple Shade Farm in Delhi, NY offers an elegant space for your special events. 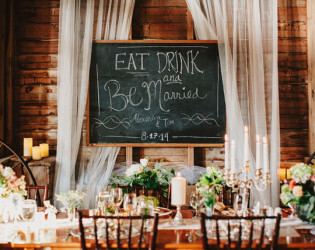 We host weddings, reunions, and parties with a focus on local fare, craft beverages, and artisans. The farm is set in a majestic valley surrounded by stonewalls, rolling fields, features a large pond, and boasts river and mountain views. The beautiful three story barn offers one-of-a-kind spaces to host your party and custom nooks offer endless fun for visitors. Comforts of a traditional venue have been carefully incorporated while keeping the beauty of the original structure completed in 1890. 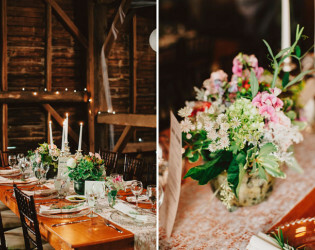 We offer floral designs and wedding planning services and we have vintage rentals and can stage vingettes for our clients. 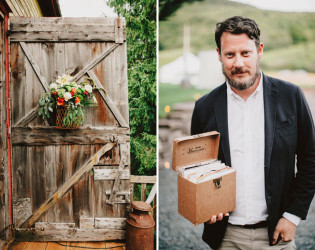 We have two suites on site for getting ready, changed, to freshen up. 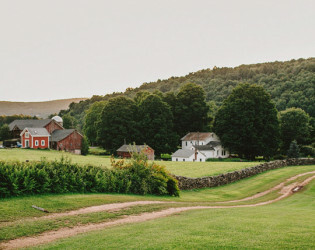 The first freed slaves the Bennetts settled on the farm and built most of the stonewalls you see for their rent. 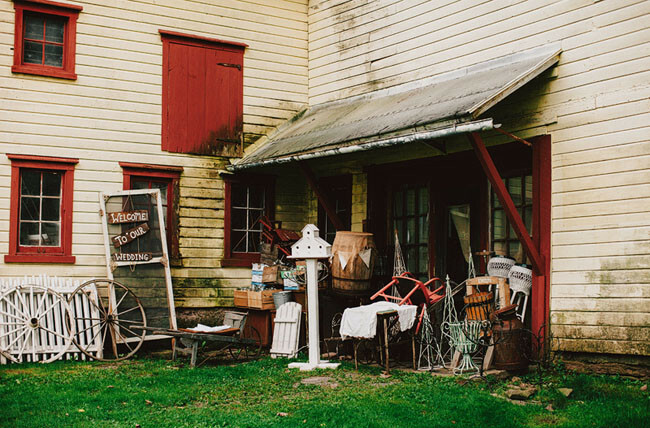 One of their homes is still on the property along with the original sap house, wood shed and carriage barn. 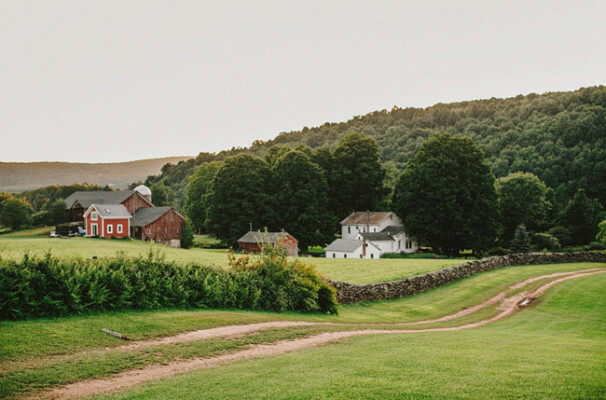 Our majestic property catches your eye immediatly with a large yellow barn set back from the road draped by rolling grassy fields. 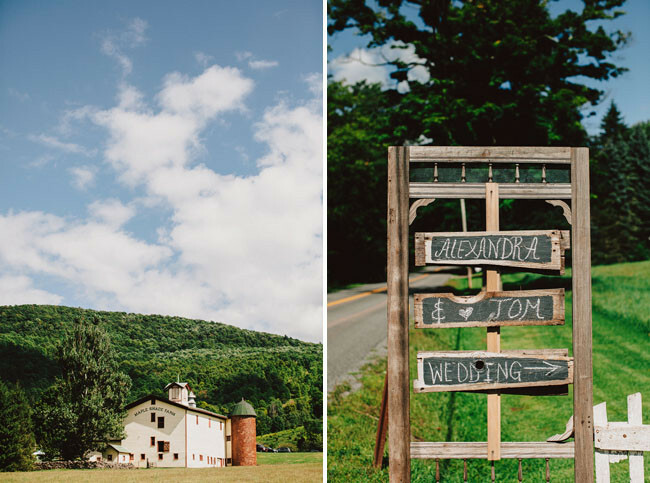 As beautiful as the entry is behind the barn there is a lovely flat featuring a large spring fed pond, stonewalls galore and a Catskill mountain backdrop. Two large entrances welcome guests to spacious dining and entertaining spaces. 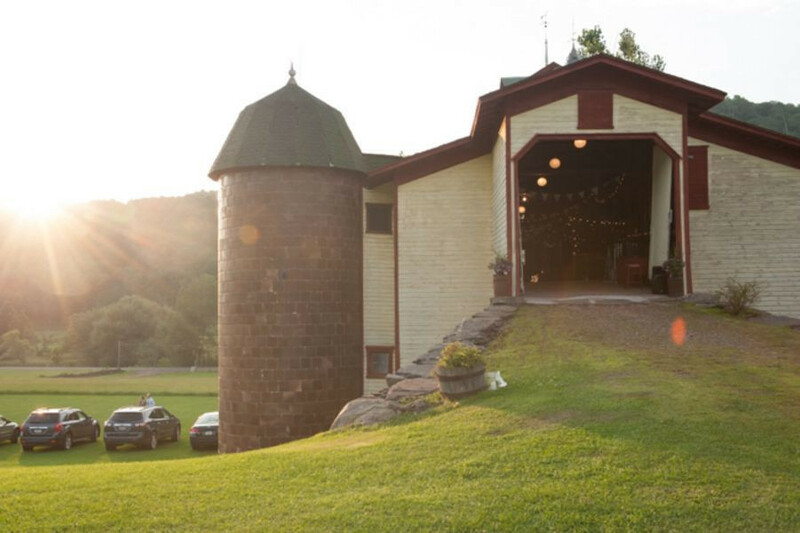 The barn was completed in 1890 and is a one-of-a-kind piece of art. 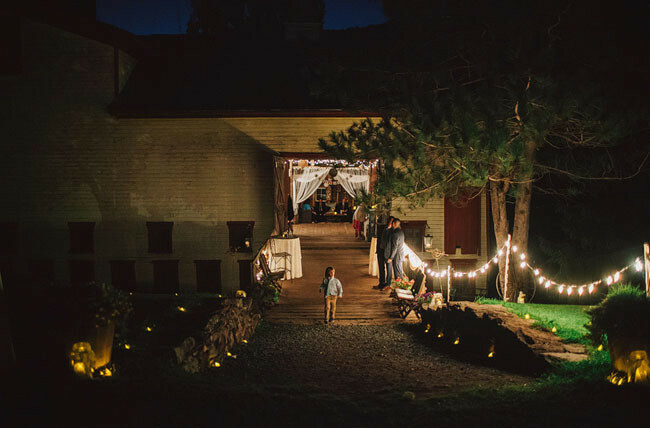 Warm lights highlight the warm wood interior, wide floor boards welcome dancers and cozy nooks create mingling opportunities for every guest. 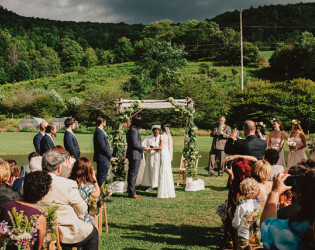 The soft grass courtyard and old cow path are surrounded by stonewalls that lure you to a secret ceremony site and breathtaking sunsets and stars make you want to celebrate all day. 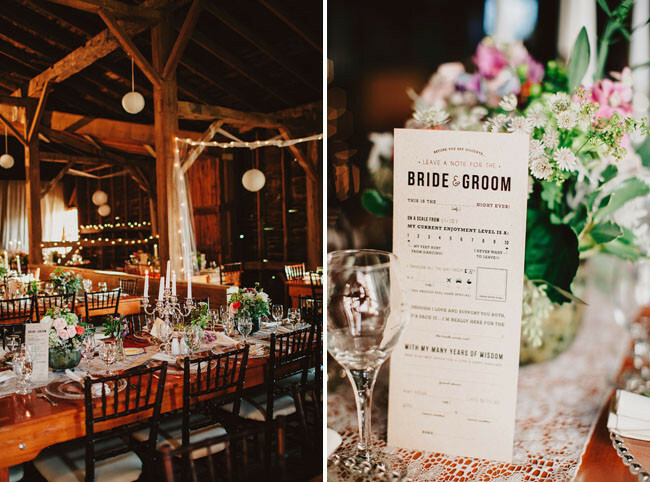 Vintage and modern touches have been mixed to create an amazing atmosphere at Maple Shade Farm. 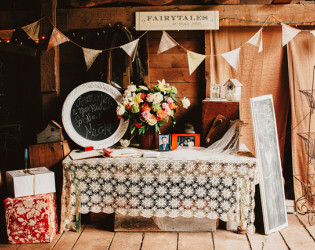 The space can be customized for any taste from shabby chic, to rustic or it can scream of elegance. 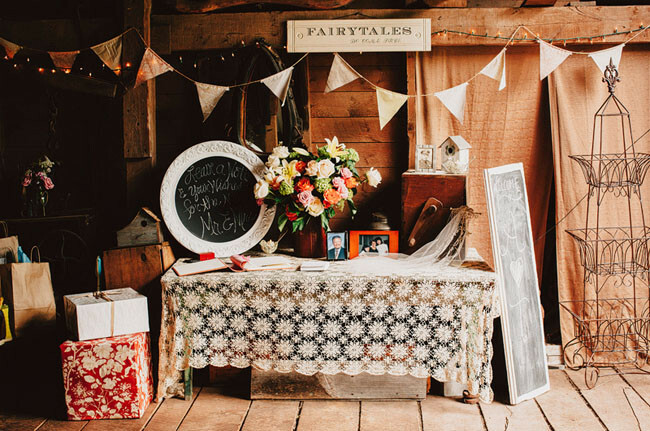 Pinterest dreams come to life here just pop into the prop room, if you've seen it online we have it. Modern facilities have been thoughtfully incorporated but blend in in plain sight. 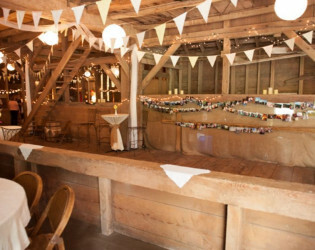 Our three story 1800's barn is like no other. The space and grounds are magical and you can just feel it as soon as you drive up. 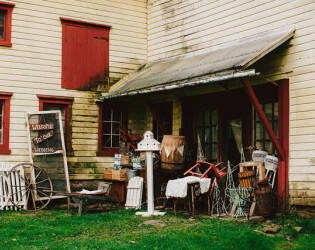 One of the best features our farm boasts are your hosts. 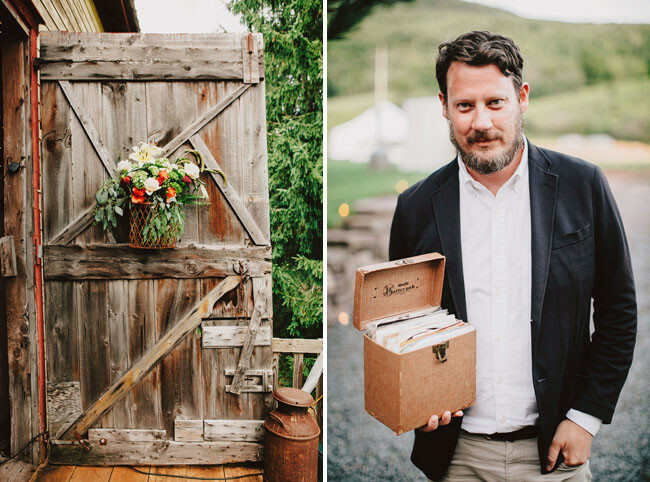 My husband Jay and I work tirelessy to help you plan the perfect day matching you with service providers, local artisans and places to stay. We are a part of the package here at Maple Shade and we make sure every detail gets done. 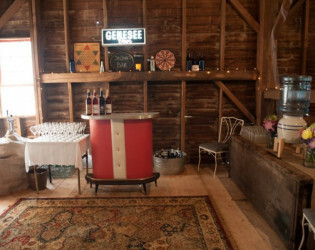 Included in our packages are custom farmtables made right on the farm and 200 folding chairs. Outdoor seating and a stocked fire pit create comfortable entertaining into the evening. Seven built in cocktail tables and a custom bluestone bar are ready for your guests. 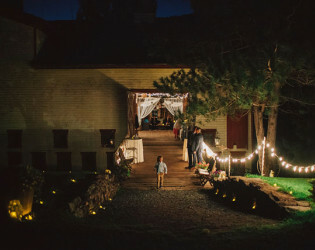 Lighting inside and out highlights the beauty of the barn and grounds. 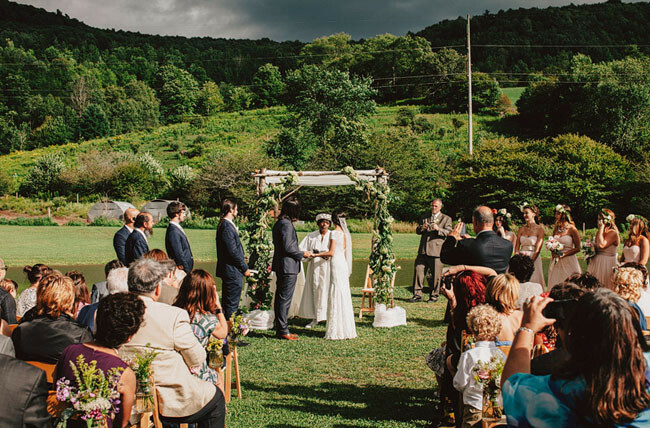 Awards & Notables Maple Shade Farm has been featured on Green Wedding Shoes, the Knot and Rustic Wedding Chic. Walk out from the third floor through the dramatic 15 foot doors to get married under a birch arbor by the pond. - View: The view beyond the pond is a rolling field and a crab apple orchard. 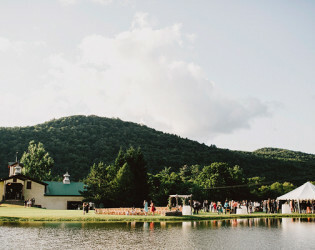 Two trees frame the courtyard ceremony site. - View: Beyond the trees the courtyard is ,lined in stonewalls and offers glimpses of the Delaware River. 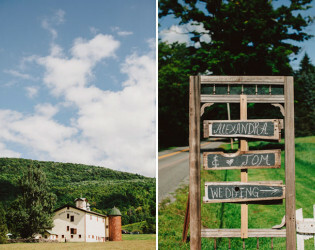 - View: Pick your backdrop, lush fields and valley views, mountainside bliss or a wooded wonderland. 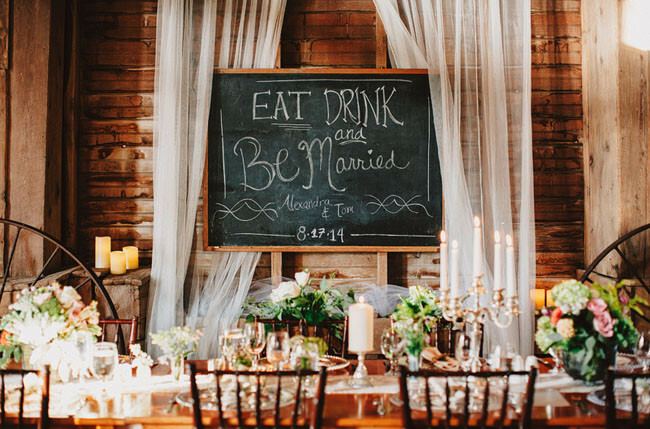 We host weddings, reunions, and parties with a focus on local fare, craft beverages, and artisans. The space and grounds are magical and you can just feel it as soon as you drive up. 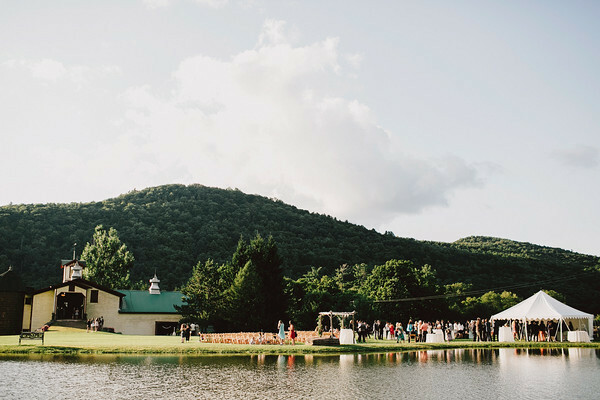 The farm is set in a majestic valley surrounded by stonewalls, rolling fields, features a large pond, and boasts river and mountain views. 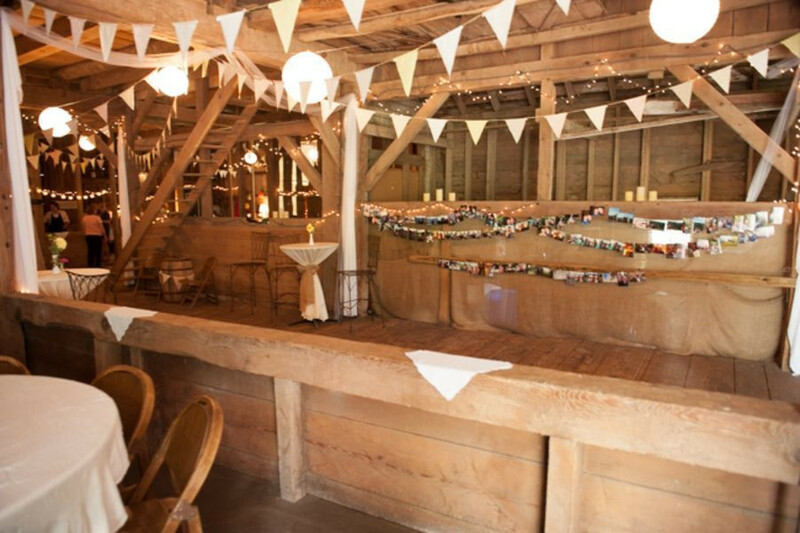 The beautiful three story barn offers one-of-a-kind spaces to host your party and custom nooks offer endless fun for visitors. 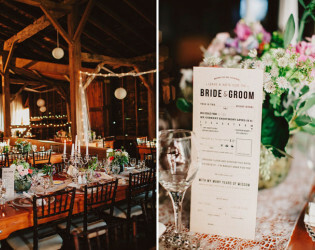 Vintage and modern touches have been mixed to create an amazing atmosphere at Maple Shade Farm. Comforts of a traditional venue have been carefully incorporated while keeping the beauty of the original structure completed in 1890. We offer floral designs and wedding planning services and we have vintage rentals and can stage vignettes for our clients. 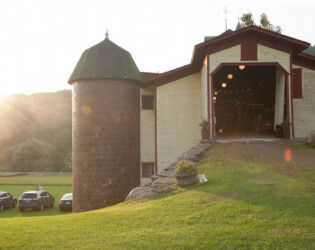 The barn was completed in 1890 and is a one-of-a-kind piece of art. 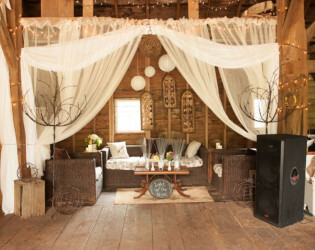 The space can be customized for any taste from shabby chic, to rustic or it can scream of elegance.